A cloche hat, which is also known as the flapper hat, is one of the most traditional hats for women. It has been the fashionable and statement hats for women since the 20s. The hat’s name is derived from the French word “cloche”, which means “bell”. The design of this hat often conforms to the head with a high crown and a narrow brim. With its rich history, this hat is available in various materials, mostly in natural wool, wool felt, and cotton. You might feel overwhelmed with thousands of choices that you can have on the market. 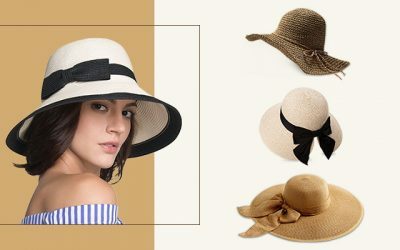 In order to choose the best cloche hat, you not only have to pay attention to the design of the hat but also the quality of the material and the craftsmanship. 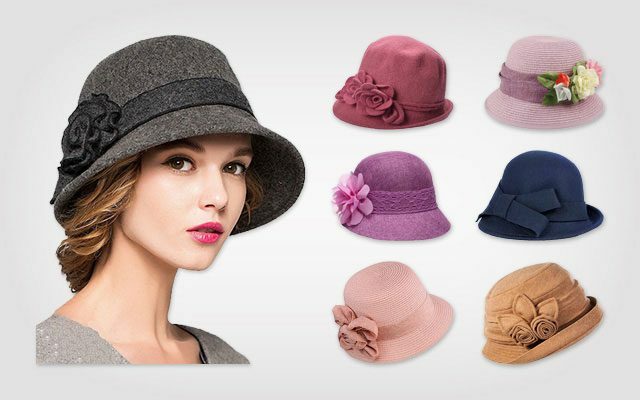 Let’s us help you with the process by carefully picking some of the top and most popular cloche hats. We review the best pick below for your consideration. Its Main Features: This cloche hat is made of 55 % of linen and 45 % of cotton. 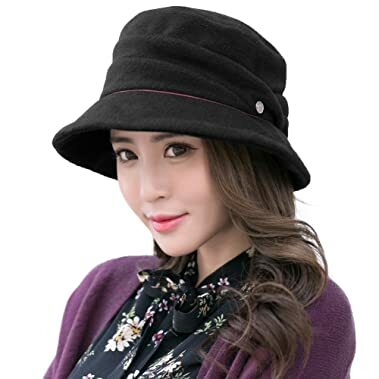 It has the classic design of the cloche hat for women with a beautiful blooming flower on the side of the hat to make you look more elegant and fashionable. There are several options of colors for you to consider including black, purple, red, and pink. This hat is available in 1 size that can fit up to head’s circumference of 23.5 inches. The height of the crown is 4.5 inches while the width of the brim is 2.25 inches. Thanks to the high quality blended cotton material, this cloche hat is soft and lightweight. The hat is also well ventilated to keep your head cool and dry in a summer day. It can be easily folded and packed as well. When you take the hat out, hardly any wrinkle would appear on the hat. While this hat is available in 1 size, it comes with an adjustable drawstring to help you have a better fit with this hat. The brim of this hat is not shapeable so the overall construction of the hat retains its solid shape. You can easily wash this hat under the cold water and keep it dry naturally. In case you are looking for a romantic looking hat which is inspired with the fashion of the Great Gatsby era, this one is for you. This cloche hat is formal enough for you to well to several special occasions such as garden parties, race day events, churches and weddings. Its Main Features: The material of this hat include 60 % of paper and 40 % of polyester. It features a a flower band with a symmetric brim. The height of the crown Is 4.5 inches while the width of the brim is 2inche. This hat is available in 2 options of colors including rose and sage. 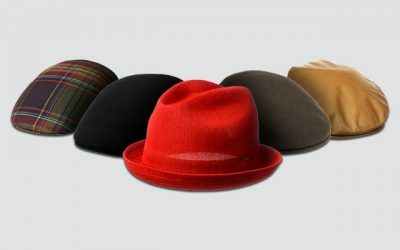 This hat is available in 1 size that can fit head’s circumference of up to 23 inches. This hat is made of the premium paper and polyester material for the hat to be lightweight. It might not be as soft as other cloche hats made from cotton or felt. However, you can expect this hat to be highly ventilated. In addition, this hat comes with a satin sweatband to prevent the hat from rubbing against your forehead. Moreover, the sweatband helps to wick moisture away and keep your head comfortable in a hot summer day. This womens cloche hat can be easily crushed for you to pack the hat with you when you go travelling. The ribbon band can be removed as well to make it even easier for you to pack the hat along with you when you go travelling. 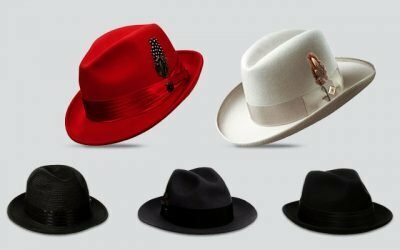 The construction of the hat is solid and the hat will spring back to its original form after you bend the hat. You shouldn’t wash this hat but spot cleaning the hat instead. It is kind of informal, and you can easily pair this hat with your elegant dress for a casual date. Its Main Features: This hat is made of 30 % of wool felt and 70 % of cotton. This hat also comes with a sweatband which is made of 18 % of cotton and 82 % of polyester. It features the elegant drape design with a floral accent. There are 3 options of colors for you to choose from including beige, black, and grey. The front of the brim is 2.5 inches in width and the height of the crown is 3.8 inches. This hat is available in 1 size that can fit head’s circumferences from 21 inches to 23.2 inches. 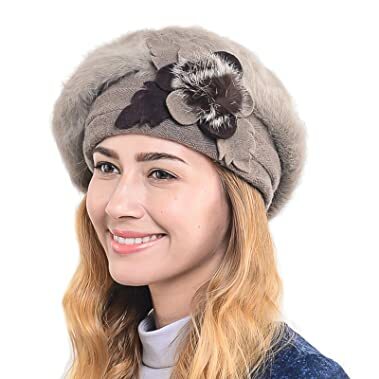 This hat is made of the premium quality material; especially with the high quality wool felt so that the hat is can keep your head warm and cozy in the chilly winter days. While the hat is quite thick, it comes with a breathable and comfortable sweatband to keep your head cool and comfortable even when you have to wear this hat for a long time. Another thing is that this hat comes with an adjustable string for you to easily adjust the hat to have the best fit. Like some other high quality cloches hats, this hat is crushable and packable for you to store in a pocket without leaving any crease. The brim of this hat is slightly wider than the brims of other cloche hats that you can find on the market. With a wide brim, the hat can keep the sun and snow out of your eyes. This hat has the style of the 1920s cloche hat. In case you are looking for a vintage cloche hat for your vintage inspired look, this hat would be a great addition. Its Main Features: This hat is made of 80 % of acrylic, 15 % of polyester and 5 % of spandex. It features a flower with fur detail. The flower is made of 65 % of polyester and 35 % of viscose. The fur detail is 100 % of rabbit fur. This hat also has lining which is made of 18 % of cotton and 82 % of polyester. It is available in 1 size that can fit head’s circumferences from 22 to 23 inches. The height of the crown is 3.9 inches while the width of the brim is 2.2 inches. There are several options of colors for you to choose from including grey pink, red, and orange. With the top-notch materials which are used to make this hat, it is lightweight and comfortable to wear. It is soft and smooth to the tough. In addition, thanks to the smooth sweatband, your head is protected from rubbing against the body of the hat. It also helps to prevent moisture from developing inside when you have to wear the hat for a long time. The hat is not structured so that you can wear fold this hat. While it is soft, it comes with a solid construction. The details on the hat are attached firmly on the hat so that they can stay on the hat no matter how well you take care of the hat. This vintage cloche hat has a narrow brim and a flower accent to make it look stylish and feminine. You can wear this hat to a wide range of occasions- from formal to informal events. You can also wear this hat all year around as well. 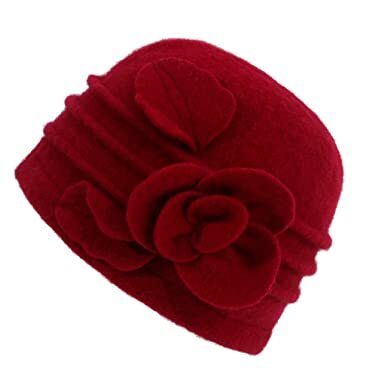 Its Main Features: This cloche hat for women in made of 60 % of wool and 40 % of polyester. There are 5 options of colors for you to choose from. It is available in 1 size that can fit head’s circumferences of up to 22.5 inches. This hat features the standard size of a cloche hat with a 4 inch high crown and a 2 inch wide brim. This wool cloche hat is constructed of collapsible wool felt with floral detail for a smooth look and feel. It is warm enough to make sure your head is insulated in a cold winter day. Furthermore, thanks to the sweatband, your forehead will not feel irritated even when you have to wear this hat for a long time. It is also quite lightweight and comfortable to wear for a long time. Another thing that I love about this hat is that it comes with many sharp colors. These colors are so vivid and fade resistant so that they can stay in their same shades regardless of how long you have been wearing this hat. 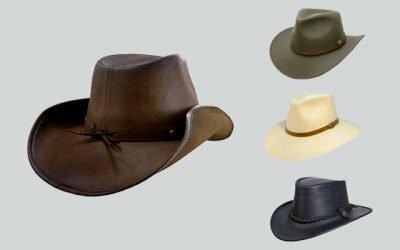 The details on the hat including the hatband and the floral detail are also made of high quality wool felt material with an excellent craftsmanship for extra durability. The details are sewn nicely so that it will not fall of easily. For this hat, you should spot clean it only. Wrinkles might appear on the hat and you can easily steam the hat to make it flat. You can wear this hat for formal occasions such as weddings and parties. You can also choose to wear this hat along with your Vintage inspired clothes for a night out. 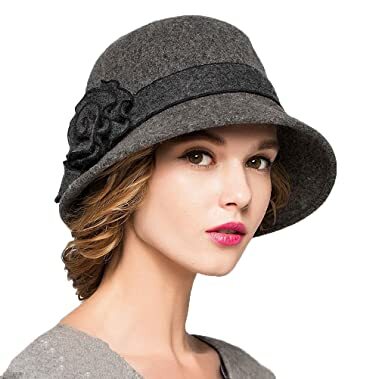 Its Main Features: This cloche hat for women is made of 100 % of natural wool. It features the trimmed brim with patchwork flowers. There are several colors with different designs on the details for your consideration. This hat is available in 1 size that can fit head’s circumferences from 22 to 23 inches. With the top notch natural wool material, this hat is super soft and smooth to the touch. It also makes the hat to have an elegant and formal look as well. The wool makes the hat warm enough for you to wear in the cold days in the spring, fall or winter. Another good thing about this hat is that the hat will get softer and smoother over time. Thanks to the wool material, this hat can be able to keep your head warm and cozy even in a cold winter day. There is a hidden elastic hatband inside the hat which is super stretchy and elastic. 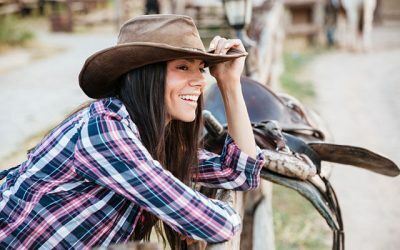 The hat can easily conforms to your head and allow you to have a good and comfort fit. The brim of the hat is trimmed nicely and firmly for the construction of the hat to stay put. It stays high on your head so that crown can be a little bit higher than the normal French beret’s crown. This winter cloche hat also has the style of the women’s French beret with the crown of the cloche hat. If you want the best of both worlds, you can try this hat for sure. You can wear this hat for parties, vacations, and leisure occasions. There are plenty of options for you to choose from. No matter what style that you like, you can find on with this hat. Its Main Features: This cloche hat is made of 100 % of wool felt material. This hat is available in black, grey, navy, red wine, and camel. 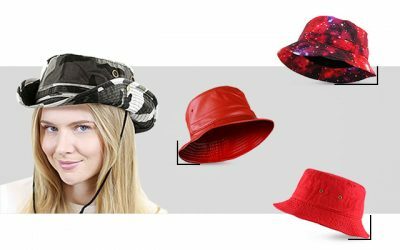 It features the classic vintage cloche bucket hat with a big ribbon band above the brim. The crown of this hat is 6 inches in height. It is available in 1 size that can fit head’s circumferences from 22 to 24 inches. Like other high quality cloche hats that you can find on the market, this hat is made of the premium wool felt material. 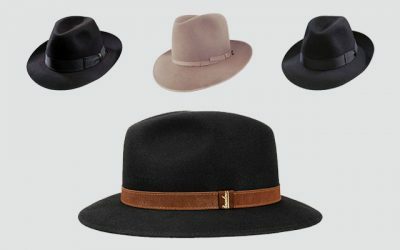 You can have a smooth and luxurious touch on the hat. Moreover, this hat is quite warm for a winter day. 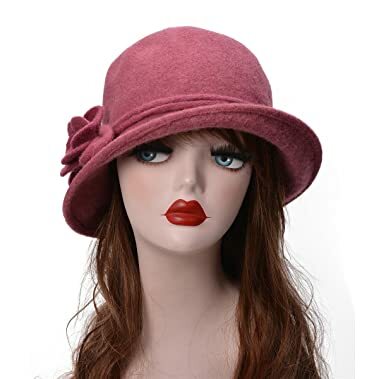 This cloche hat for women runs a little bit larger than other cloche hats that you can find on the market (normal ladies cloche hats can fit head’s circumferences of up to 23 inches while this hat can fit up to 24 inches). If your head is larger than average, this hat might fit you. On the other hand, if you have a smaller head, you can easily fit this hat thanks to the drawstring ribbon inside the rim of the hat. The brim of this hat is also wider than the normal brim of the cloche hat so that it can still protect your eyes from the snow and the sun. 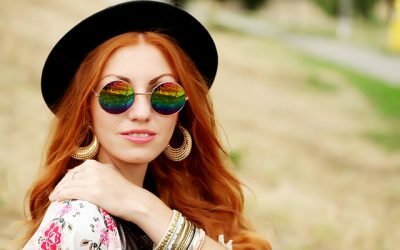 However, it would not be too wide to cover a large area on your face. Finally, this hat is made with an excellent craftsmanship for a firm construction. 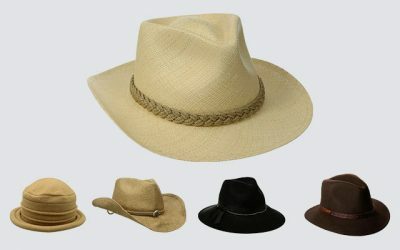 Parts of the hats are cut with clean edges which do not revel or fray. It also stays in the same shape regardless of how many times you wear the hat. Its Main Features: This cloche hat is made of 100 % of wool felt. It features a floral ribbon along with an asymmetric brim. The front of the brim is wider while the back of the hat is narrower. This hat is available in 1 size that can fit head’s circumferences from 22 to 23 inches. There are 4 options of colors for you to choose from including deep camel, black, pink, and wine red. The wool felt material is soft and smooth on the touch. 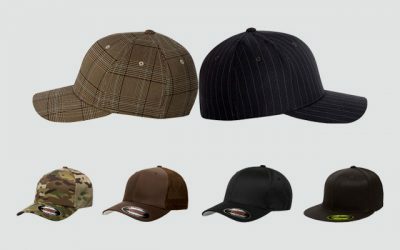 In addition, the high quality material makes the hat lightweight and comfortable. It is warm enough for you to wear in a cool day. Still, the fabric of this hat is well ventilated to keep your head cool and dry. 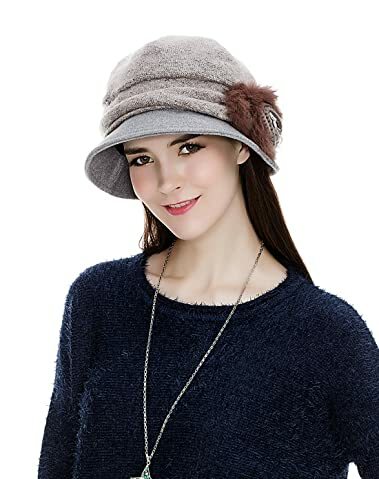 Moreover, this cloche hat comes with a cotton sweatband to help absorb moisture and prevent any irritation from your head rubbing against the hat. Another thing that I like about the hat is the front of the brim is wide enough to provide shade for your head and prevent the harmful sun rays from damaging your skin. 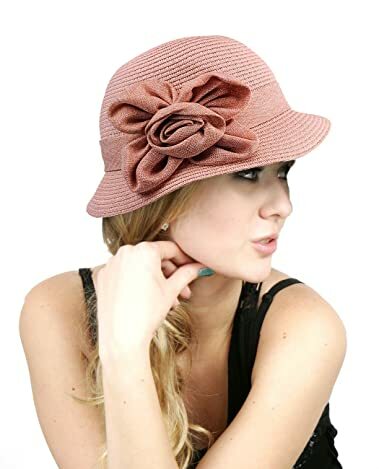 This felt cloche hat comes with a floral ribbon for an instant elegant and charming look. The floral ribbon is nicely secured on the hat so that it will not fall off easily. It can be worn for both formal events such as garden parties and weddings as well as informal events such as day outings. Still, the floral ribbon is not securely attached to the hat. You should pay extra care when handling and washing the hat. Otherwise, the floral detail might fall off. You should hand wash for best result. Its Main Features: This cloche hat is made of 100 % of wool. It features the style of the beanie cap with a short brim. Near the brim of the hat, there is a stitched flower accent. There are 6 options of colors for you to choose from including red, black and grey. This hat can fit head’s circumferences from 22.44 inches to 24 inches. This crochet cloche hat is made of the premium quality material which is super soft and smooth to the touch. It will make you feel comfortable wearing the hat for a long time. The fabric of the hat is also super stretchy. Before you wear the hat, you can stretch it with the hand so that the hat can easily fit well on your head. Thanks to the premium wool material, this hat is warm enough to wear in a cold winter day. Moreover, you can easily fold the hat to pack it into a small bag for easy storage and carrying around. Wrinkles and ceases can hardly appear on the hat. The hat is sewn nicely for a solid and durable construction. The floral detail is also sewn securely so that it will not fall off easily. This hat is available in the basic and neutral colors. And with its classic and vintage style, you can easily pair this hat with other pieces of clothes in your wardrobe. 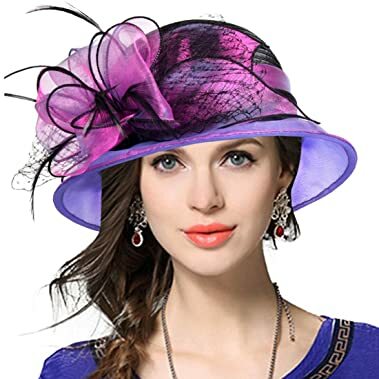 Its Main Features: This hat is made of 100 % of organza material with the construction of a cloche hat and a lady Kentucky derby hat. It features a flat brim, bow and floral accents. The width of the brim is 6 inches while the height of the crown is 4 inches. This hat can fit head’s circumferences from 21.26 inches to 22.83 inches. You can carefully fold the hat and pack it with you when you go travelling. When you take it out, it will spring back to its original form. And in case wrinkles appear on the hat, you can easily steam iron the hat to make it flat again. With the high quality organza material, this hat is quite lightweight and comfortable to wear. It also features an inner satin headband, which brings extra comfort to your forehead, especially when you have to wear the hat out in a hot summer day. This hat comes with a flexible strap band that allows you to have a comfortable fit. Still, keep in mind that this hat comes with a wide brim; it might be too big on your head. Also, the brim of the hat might become flimsy in case of a high wind as well. Last but not least, this hat is available in various choices of bright and vivid colors. These colors are fade resistant so that the hat will stay nice all of the time. With its gorgeous design, this hat can be worn to race day events, churches, parties and any other formal occasions. 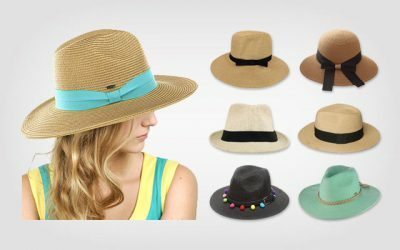 As you can see from the list, the cloche hats on the market are available in various kinds of materials, designs, and colors. While it looks simple, make sure you know how to wear this hat right. And did I mention that girls with short hair would look good in a cloche hat (Check out more here https://thebesthat.com/how-to-wear-a-hat-with-short-hair-useful-tips-for-a-woman/). 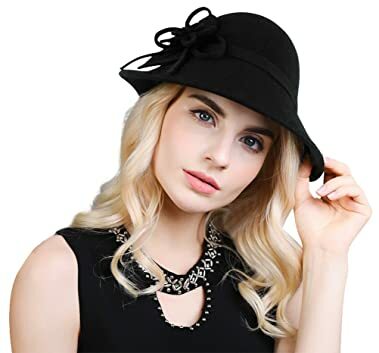 I hope that with all of the information above, you can quickly find the best cloche hat that can enhance your style and make you feel comfortable while using it. There are a lot of options that you can choose from on the market. And I hope that you can spend time considering some of the best options to make your most informed choice of what cloche hat to buy.